Glowing. Rose. Hydration. 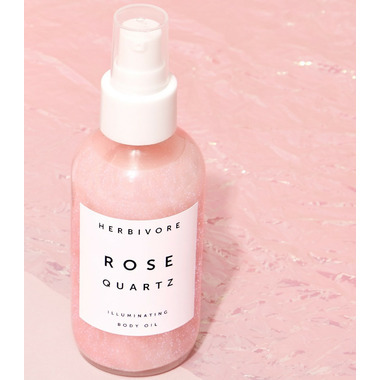 Inspired by the gemstone, Herbivore's Rose Quartz Illuminating Body Oil gives you deeply hydrated, glow-y, and subtly luminous skin. Formulated with the very best oils and infused with an aromatic blend of Moroccan Rose & Jasmine Grandiflorum. This is luxurious skincare for your whole body. Metaphysically, Rose Quartz corresponds to the Heart Chakra, the energy center of love - for yourself and others. This oil is a perfect companion for a self-care night in or a night out. Its all about that glow. Concentrated Moisture. In contrast to cream moisturizers and lotions which tend to be high in water and emulsifying agents but low in effective ingredients, the Herbivore body oils contain no fillers and are formulated with only effective natural ingredients. They absorb quickly to get moisture, vitamins, fatty acids and antioxidants into your skin efficiently. Additionally, the oils form a natural lipid barrier to lock moisture in and protect against dryness and heat in the environment. Truly Natural. Everything Herbivore creates contains the finest all-natural ingredients, with an emphasis on ingredients that are plant-based, organic, and food-grade. Each ingredient is included for a therapeutic reason. No animal testing is conducted on the products or ingredients. All of the oils are cold-pressed or steam distilled. These are the best extraction methods available and lead to premium quality oils. All products are made in small batches in the USA. 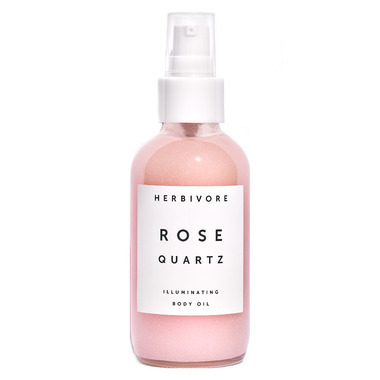 Herbivore recommends using SPF during the day after use of this product to prevent sun damage.